Frank Mcfly (Music artist) and Wavey Baby (Actor, entertainer and CEO of Wavey’s World online series) are the co-founders of the Non Profit organization FMWW(Frank Mcfly and Wavey's World). FMWW Org focus on giving back to low income communities by sponsoring walks, back to school drives, thanksgiving diners,and more. "My passion for music is to educate, inspire and change the world for the better”, Frank Mcfly lyrics definitely backed up by actions. Public schools in New York do not normally come with an art emphasized or evenly matched curriculum. 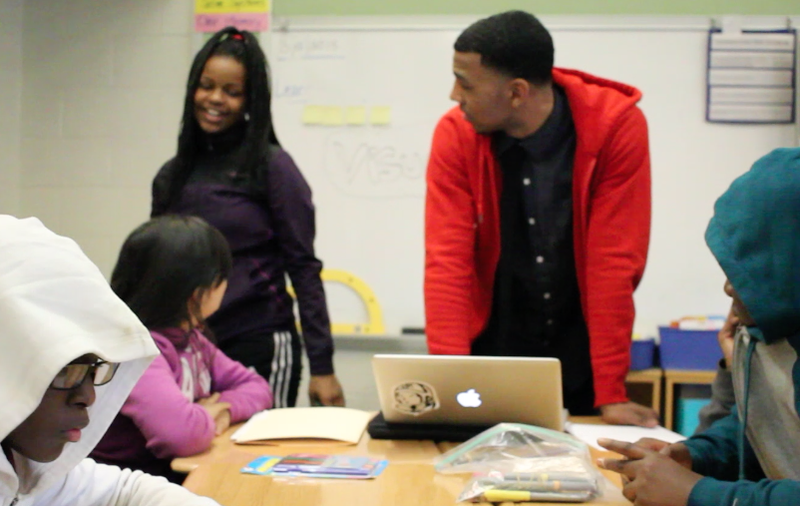 The goal is to expand to different parts of the US & World to motivate and inspire the youth. You don't have to be a celebrity to start giving back! Email: FMWWORG@gmail.com to find out how you can help. FMWW had its third annual book bag give away event in two different locations this year, Forest Hills, Queens and Brownsville, Brooklyn. The team was able to give away 500 Book-bags filled with school supply. The events was a success with free food, games, ride, magic show DJ and much morel. Thank everyone for all of the help and support. Frank Mcfly & Wavey's World x Sade' Emoni Clothing Giveaway teamed up and collected over 8 Bags of clothing over the tri-state and donated it to the residents of North Jersey and a shelter in NJ. Frank Mcfly & Wavey's World x Young Mens Group Lunch Bag Giveaway. We collected donations from friends, family and people in the community to do a lunch bag drive for the homeless. FMWW team packed up 100 Lunch Bags and went to the mens shelter. Frank Mcfly & Wavey's World team up with Coach T to do a 3 week program with the Young Men Group at P.S 109 in Flatbush, Brooklyn. The first week consisted of physical excercise and test taking. The second week the kids focus on career goal setting and graduation. The last week the kids received free haircuts and was giving job interview training on attire, resume and body language. 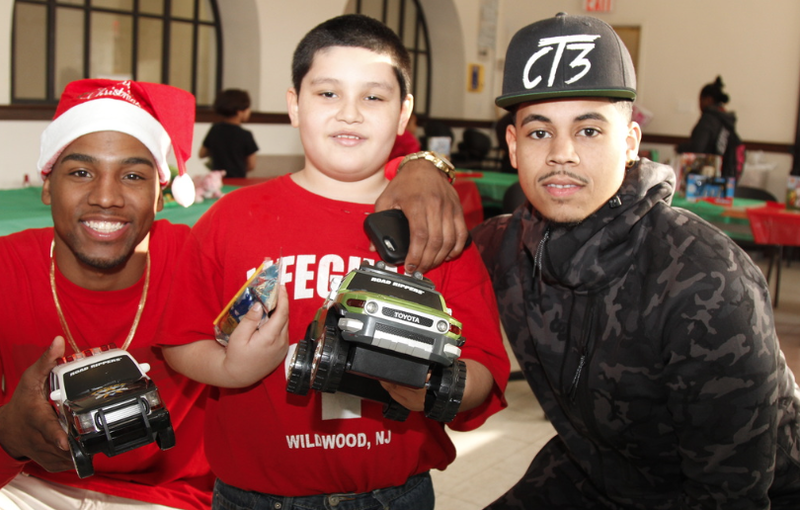 FRANK MCFLY & WAVEY'S WORLD X GIRLS EMPOWERMENT CIRCLE TOY DRIVE X CT3 FIRST ANNUAL TOY DRIVE. TOY DRIVE WAS A SUCCESS 150+ TOYS WAS GIVING AWAY TO CHILDREN IN BROOKLYN, NEW YORK. TOYS & GAMES THAT WAS LEFT WENT TO KINGS COUNTY HOSPITAL AND HANDED OUT TOYS AND STUFFED BEARS TO THE CHILDREN IN THE PEDIATRIC UNIT. THANKSGIVING DINNER AND PROVIDING CLOTHING 40+ MEN, WOMEN AND KIDS FROM THE NEIGHBORHOOD. THANKS AGAIN TO ALL WHO SACRIFICED THEIR TIME ON THIS DAY TO SERVE. FMWW participated in the Brooklyn Making Strides Breast Cancer Walk. We made and sold support t shirts and gave all proceeds to the foundation. FMWW along with other supporters also participated in the walk. Thank you all for the support! 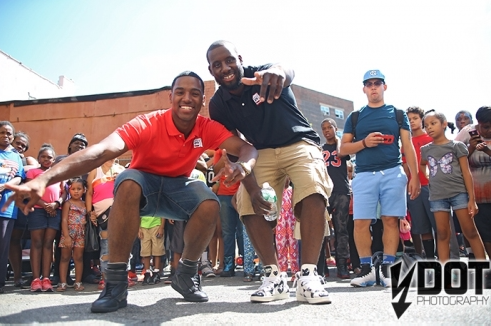 Frank McFly and Wavey's World teamed up for their second annual Back to School Cookout on August 28,2015. 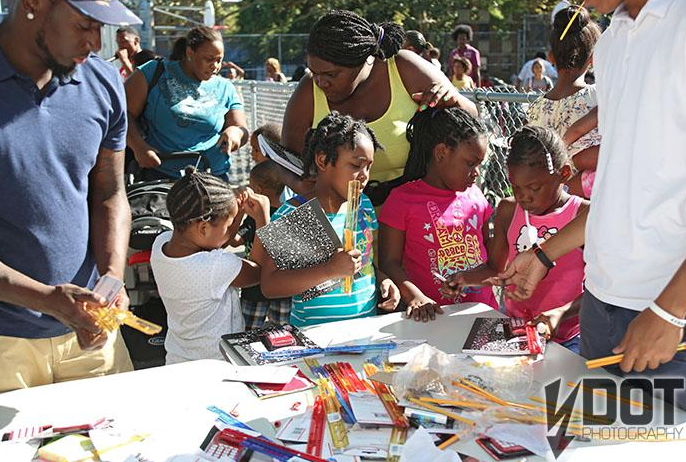 They gave out over 300 book bags filled with school supplies to families in the Brownsville community during a fun filled event equipped with live entertainment, bouncy castles and free food. The youth are the future and it was such a honor to speak and motivate the kids at P.S/I.S 109 in the Flat-bush, Brooklyn. 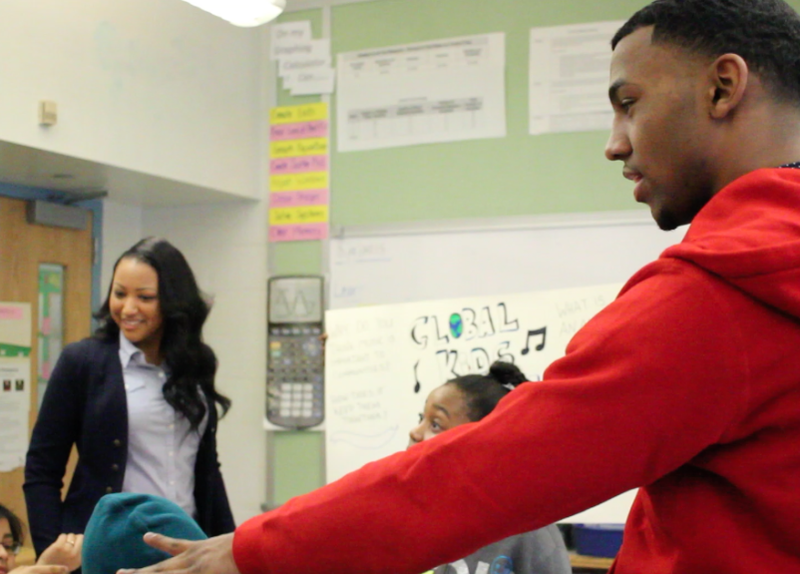 FMWW had the opportunity to speak to the elementary kids at the school and talk to them about music and life lessons. FMWW ended up making an anthem for the school "GK ALL DAY" thank you to Ms. Ameria Ms. Stephanie and the Global Kids Organization for the opportunity! Frank McFly and Wavey's World put together a Thanksgiving event on November 27th,2014 in the Discipleship Faith Church of God in Brownsville, Brooklyn. 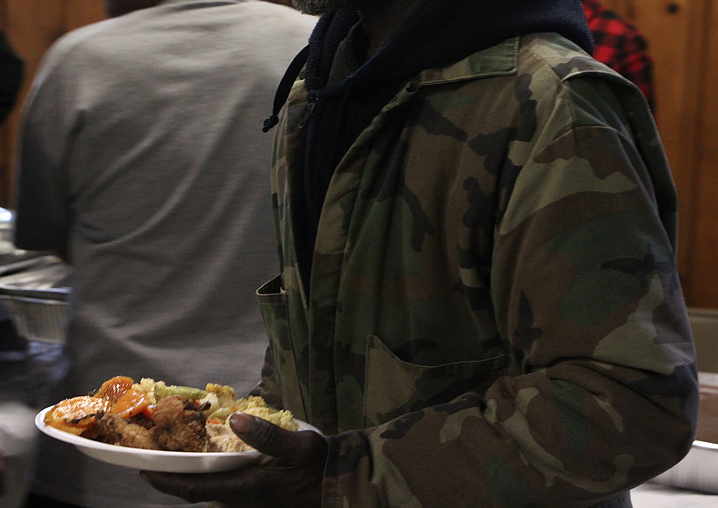 This event helped feed over 100 residents for the holiday season. Frank McFly & Wavey's World design some dope T shirts to support the Breast Cancer Walk giving 80% of proceeds to the foundation. FMWW along with other supporters had an amazing time today the Breast Cancer Walk in Prospect ! We meetdope people making strides walk and shaping up at this year🎀 Thank you to everyone who purchased a tee ! Everything makes a differences ! 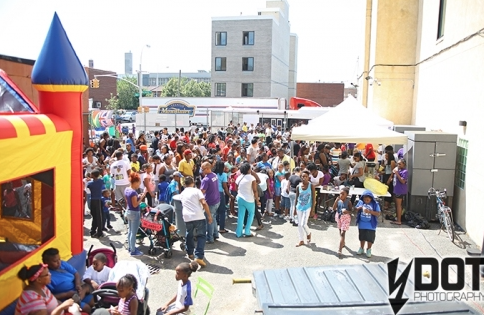 Frank McFly & Wavey's World hosted their first annual Back to School Cookout on August 29th, 2014. They gave away 100+ book-bags filled with school supplies for families in the Brownsville community. Free food, music and entertainment was also provided in this event. Frank McFly & Wavey's World teamed up with PremierWelz for a clothing and food drive. The two raised money to buy food and clothes. After we search for a children shelter that needed it most drove out and surprised them.